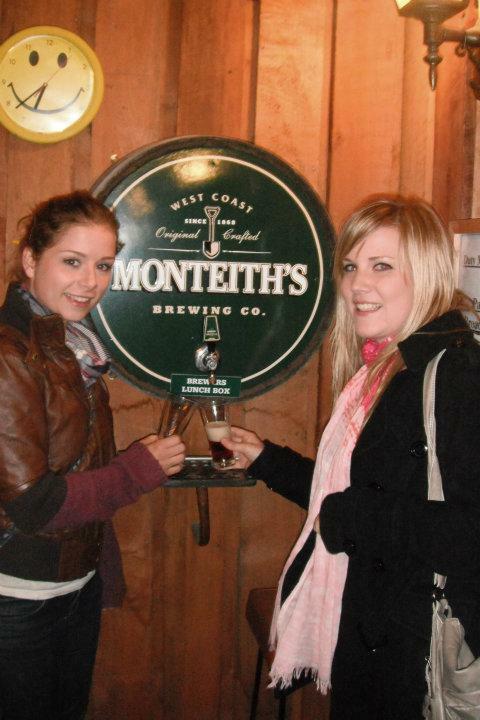 Yesterday we arrived in Greymouth where we went to the Montieth brewery. We got to try all the beers although I didn't because I don't really like beer so I just stuck with the cider :) we definitely got our money's worth because when the guy wasn't watching we were pouring ourselves more! That night in the hostel we had a black bin bag party, we were given 2 black bags and tape and had to make an outfit. I won best outfit!! It was actually more because I made a handbag to go with my pretty plane one shoulder dress. It was a good night but we all ended up in bed pretty early probably because we started drinking so early! Tomorrow we head to the Frans Josef glacier!